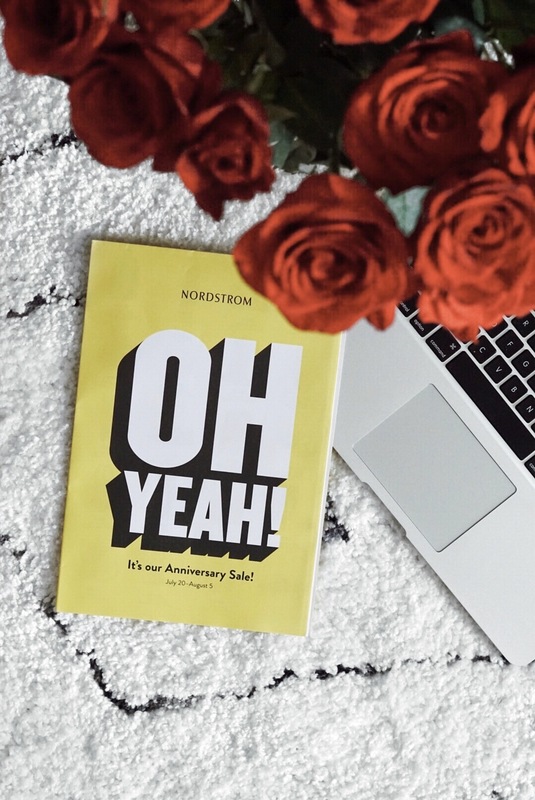 The Nordstrom Anniversary Sale has landed! Every year I tell myself I’m not going to buy anything and every year that plan fails. This probably does not come as a surprise to those who know me. With that being said, I was invited to my local Nordstrom to preview the sale. And to be honest, it really is so good this year. It’s a great time to stock up on that denim you’ve been wanting, *ALL the cozy fall sweaters*, and shoes galore. Not to mention, the #NSale also has the best deals on every day basics (like tees, tanks, and leggings) and all the hottest beauty products. You may be spending more now but you’re also saving in the long run. Lose, win? I say win, win. If you missed my fitting room try on session on IG stories, no worries. I saved it to my highlights under the “#NSALE” reel so be sure to check that out if you want to see me actually wearing the product. If you have questions on sizing or material, feel free to message me! I’m your girl! Just to sort out any confusion, the sale is currently only open to cardholders. The sale will be shoppable for NON-cardholders on July 20th. I just have the Nordstrom Retail card (not the Visa). Learn more here. 1. TOPSHOP LONG OPEN FRONT CARDI – Don’t drag your feet with this one. I have a feeling this sweater is going to sell out quickly! It comes in 4 different cozy colors. I snagged the cream color but I’m also eyeing up the dusty rose as well. True to size! 2. MADEWELL SUNFLARE HOOP EARRINGS – These little guys are dainty yet make a statement. Can’t stop wearing gold jewelry BTW. 3. FREE PEOPLE FOUND MY FRIEND SWEATER – If I could afford this in every color, I really would. Everything from the slouchy, relaxed fit to the texture = perfection. FP did it again! True to size. 4. BP. BALLOON SLEEVE SWEATER – I’m also predicting that this sweater will be sold out soon. Comes in 3 different colors, lightweight, not itchy, true to size. I purchased it in the color ‘Pink Rose’. 5. BP. BRICE NOTCHED BOOTIE – If you’re looking for a new pair of fall booties, these are calling your name.